Canada's Wonderland Unveils Wonder Mountain's Guardian this Saturday! 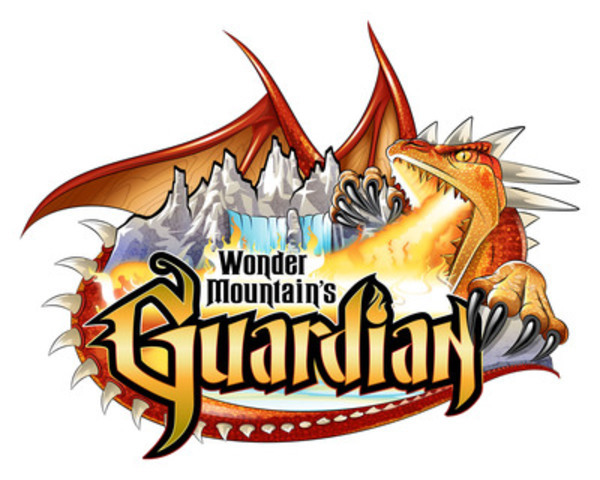 VAUGHAN, ON, May 23, 2014 /CNW/ - Canada's Wonderland is excited to announce the opening of its newest attraction Wonder Mountain's Guardian on Saturday, May 24, 2014. This innovative new ride will provide a new dimension of thrills that combines the excitement of a roller coaster, 3D animation and an interactive gaming experience. The journey begins with a perilous coaster climb up the side of the park's iconic Wonder Mountain, followed by a quick descent into the core of the mountain. As riders enter this cavernous new world of mythical creatures and navigate through five layers of a 4-Dimensional medieval world, they will be in the heat of the battle with guardians of the dragon's treasure. While immersed in this interactive experience, riders will have an opportunity to showcase their gaming skills as they compete against their fellow riders, in a bid to land a coveted spot in the Wonder Mountain's Guardian Hall of Fame. The quest will culminate as riders enter the dragon's lair for the ultimate battle with Lord Ormaar, and experience a heart stopping finale that will shock thrill seekers of all ages. "The entire process of bringing Wonder Mountain's Guardian to life, has been done with the guest experience as our primary focus. This attraction will provide our guests with an exhilarating, and unique ride experience unlike any other attraction in the park; immersing them in an extraordinary adventure and engaging their senses from start to finish." Norm Pirtovshek, General Manager at Canada's Wonderland. Montreal based Triotech designed and manufactured the interactive multi-media entertainment platform that includes the ride's 3D animation, as well as the projection, sound, and special effects. The ride will feature the Longest Interactive Screen in the world, measuring 500 feet long (152M), and 13 feet high (4M). Canada's Wonderland is owned and operated by Cedar Fair Entertainment Company, a publicly traded partnership that is listed for trading on The New York Stock Exchange under the symbol "FUN". In addition to Canada's Wonderland, Cedar Fair owns and operates ten other amusement parks, three water parks, on indoor water park, and five hotels. Cedar Fair also operates the Gilroy Gardens Family Theme Park in California under a management contract.